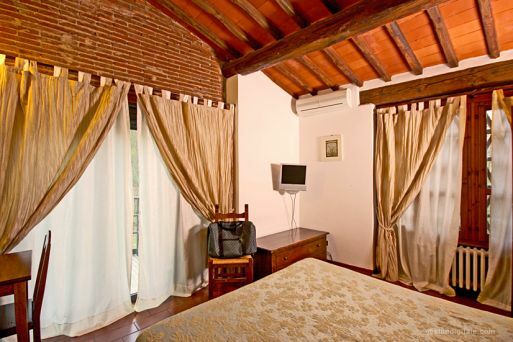 The double bedrooms are located at all floors of our building, with several trims and comforts. 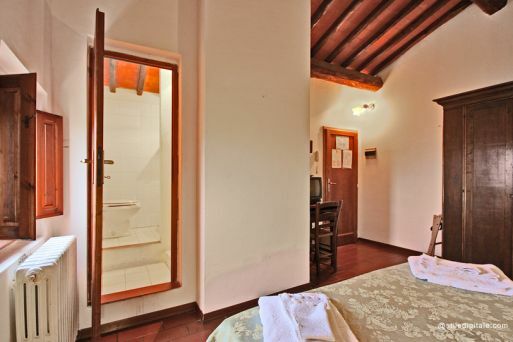 Prior request, they are available both at ground floor or upstairs, with facilitate access for people with disabilities or with a panoramic view on the hills both at the first and the second floor of the building. 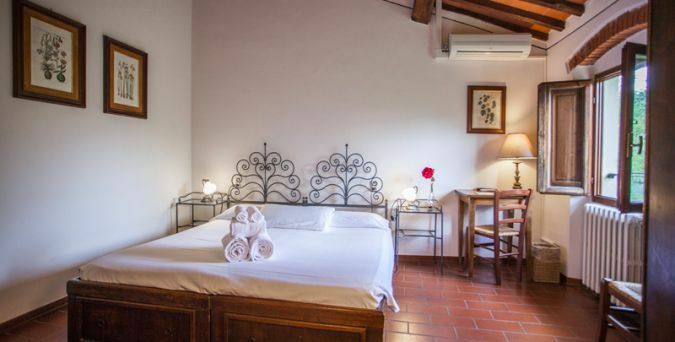 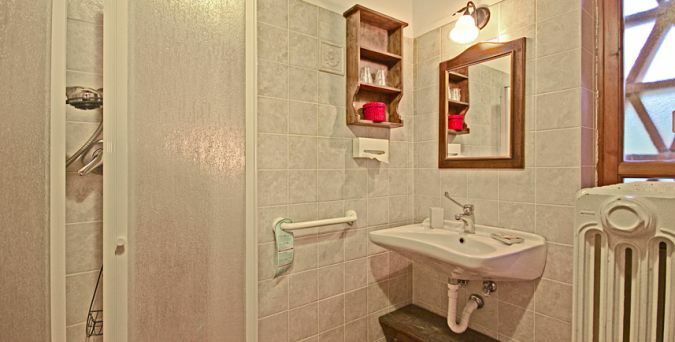 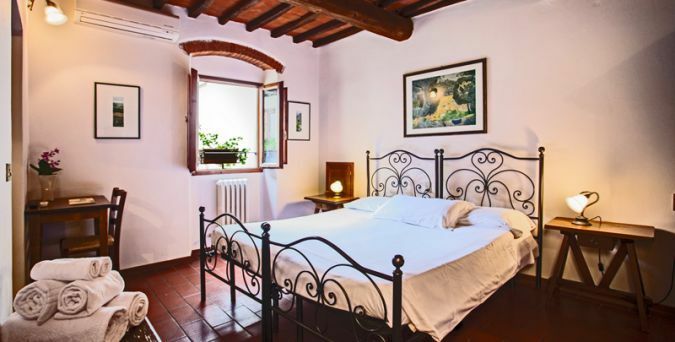 In all the bedrooms you will find wrought iron headboards, Florentine terracotta tiles floors, ceiling with wood beams, Air conditioning/ heating, Free WIFI, 21" Led TV, phone, lockbox, private bathroom with washbasin, shower, toilet and in some of them even bidet, hairdryer.